Come on a wee walk round Dalwhinnie with some expert young guides...without the need to don your walking boots! Just click on the link to your left (below the graffiti link) to see our slideshow. Dalwhinnie. If you've driven 'th'road' (the A9 between Perth and Inverness) or taken the train north or south between the two, you'll have seen the name, surrounded by some of the most spectacular scenery in Scotland. This website was created for and by the people who live there! You can hear our voices (click on any photograph in the Interviewees Album and then on the play audio link! ), see our faces, upload your own pictures - and comment on those there already. Dalwhinnie has its back to the Cairngorm mountains and faces west. As well as the mountains which surround us, our school and our station, we have Loch Ericht (which you can only glimpse from the train or road, but which stretches for 14 miles due south-west). We can offer some B&B accommodation and a petrol station which doubles as a cafe, shop and post office (but please slow down for Fiona's ducks if you're refuelling). Maybe you'll have stopped off here already - for a quick bite, or to sample some of our legendary malt whisky at the distillery. Perhaps you just needed to stretch your legs, or even just needed to use our world-famous free toilets - the highest and most remote in the Highlands (and if you did, don't miss our online graffiti wall - but you'll need to remember the secret password!). Or maybe you've been stuck here when snow closed the A9? Or perhaps you've come to walk our hills, or stalk our deer. 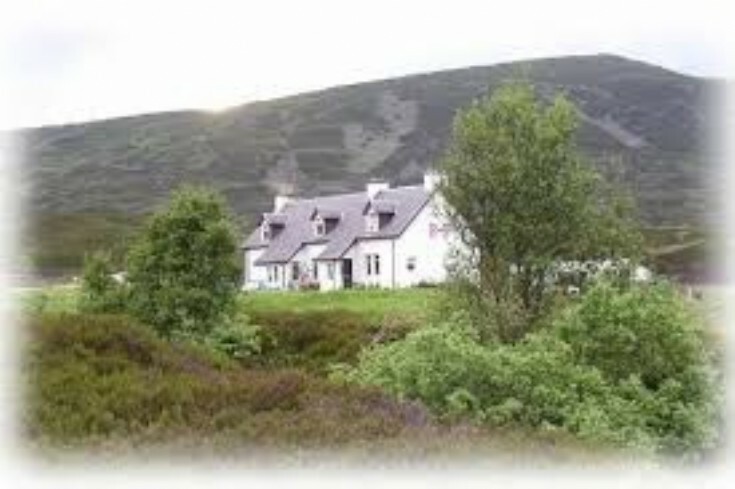 Dalwhinnie is part of the Cairngorms National Park - but we are as far from a typical Highland village as you can get. Our visitors often describe us as 'the middle of nowhere'. We came up with the Dalwhinnie Voices project (see background page for more details) to show you that between 50 and 100 real people live or work here - the numbers vary a bit according to the time of year and where you draw the boundary. The school roll is 6. When a family leaves, we hold our breath. When there's talk of a baby, we celebrate. We all have different views of Dalwhinnie. We hope you enjoy hearing our stories and looking at our photos and we look forward to reading your comments. Don't forget you can upload your own Dalwhinnie pictures too. If you have a Dalwhinnie connection you'd like to tell us about, let us know via the guestbook. Welcome to Dalwhinnie - for those who live here, the middle of everywhere.